The World Series of Poker announced in early 2011 that there would be a $25,000 buy-in heads-up event as part of the 2011 schedule. There was instant intrigue and excitement among the industry and all the hype resulted in an incredible tournament and the crowning of a 22-year-old British champion, Jake Cody. Besides the $851,192 in first-place prize money, Cody picked up a coveted WSOP bracelet after defeating Yevgeniy Timoshenko in the finals. 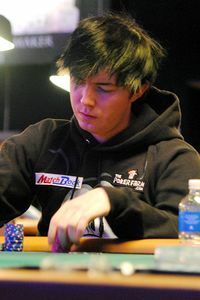 With the victory, he became the third player in poker history to win poker’s “triple crown,” earning titles on the European Poker Tour, the World Poker Tour and the World Series of Poker. OMAHA, Neb. — Former Nebraska quarterback Sam Keller is suing EA Sports and the NCAA, saying the video-game maker wrongly uses the names and likenesses of athletes and the NCAA sanctions the practice.